To prepare skilled and competent Computer Engineers by imparting quality education and contribute in the development of society & nation at large through excellence in teaching, research and innovation. M1 – To produce world class computer professionals and technocrats through proficient mentors and researchers to satisfy global needs. M2 – To foster the state-of-art technologies and extend the platform to inculcate the diversified skills of students, faculty and staff. M3 – To promote innovative teaching learning process and disseminate research. M4 – To strengthen industry partnership and promote innovation to make graduates industry ready. PEO I. To build strong foundation for problem solving ability, critical thinking and mathematical principles in the domain of Science and Technology. PEO II. To exhibit professional skills, leadership qualities and ethical values for the enrichment of society and country. PEO III. 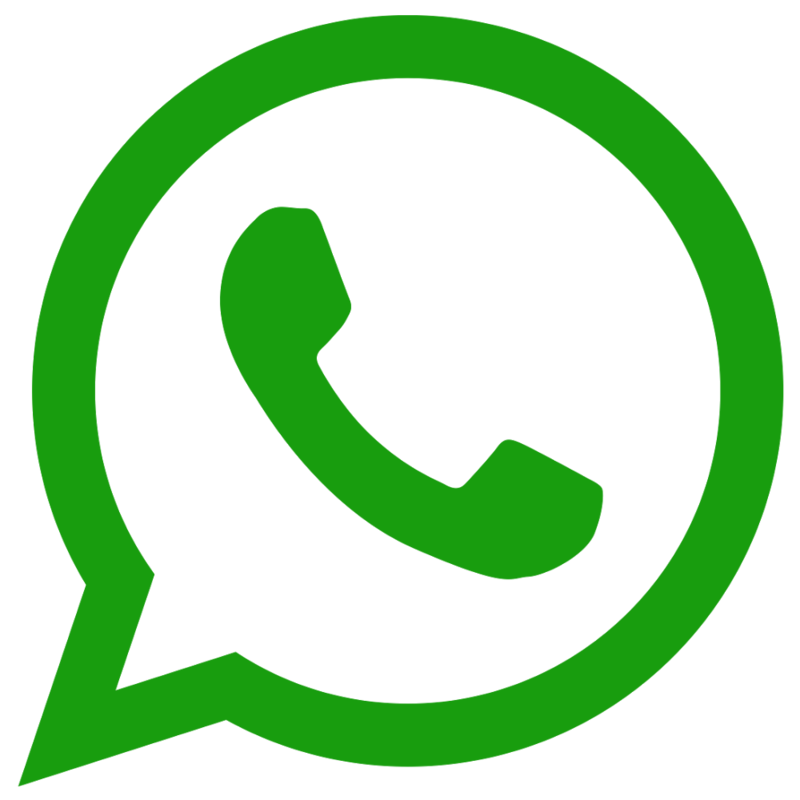 To adapt advancements in computing tools and technologies and provide sustainable solutions to the social, economical and industrial problems. PEO IV. To produce competent computer professionals with various skills to formulate, analyze and design diverse problems and address challenges by developing software solutions. PEO V. To adapt innovative teaching methodology to elevate research and technical skills. 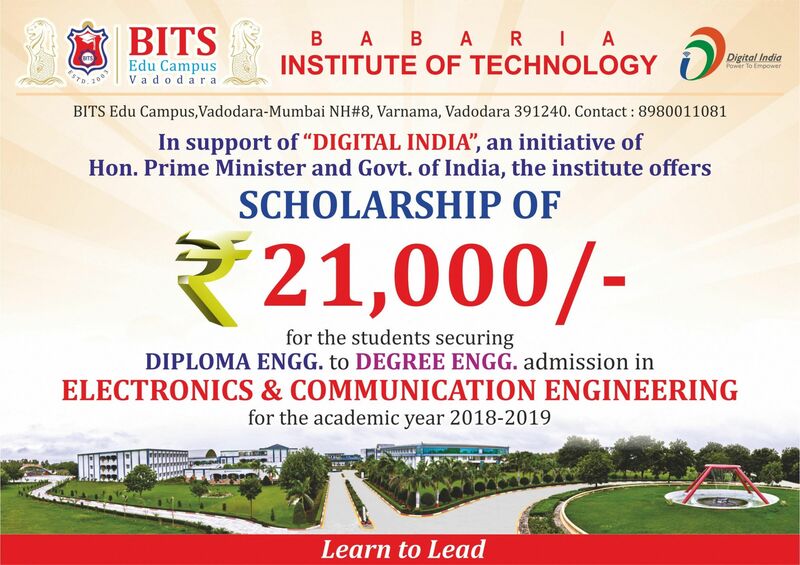 Foundation of Babaria Institute of Technology, BITS Edu Campus was laid down in year 2004 and Department of Computer Science and Engineering is running under this institute since 2004. At global market, India’s Software Engineers have created remarkable mark in Software industries and gained super trust and revenue for the nation. Department of Computer Science and Engineering has been most lucrative and competitive course to study from beginning because of this global demand. It is really an excellent field to have opportunities both in software companies and higher studies. As computing is extensively applied to almost every walk of life, it has created massive well paid jobs for Computer Science & Engineering students. On the same time more demand and application kept its research funding alive, many students attracted to opt for higher studies. 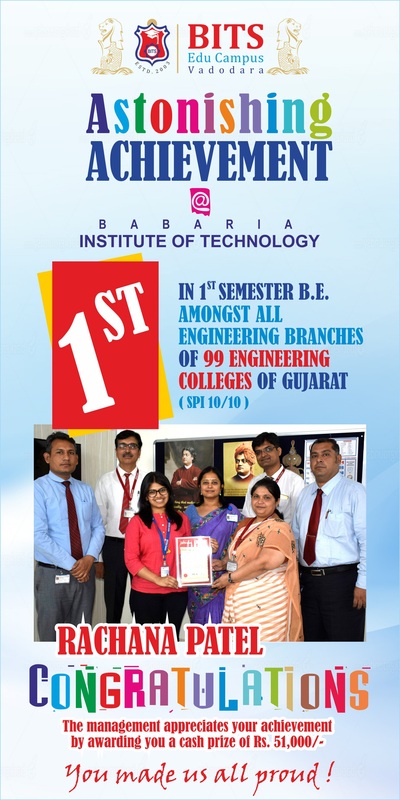 Why Computer Engineering @Babaria Institute of Technology ? In order to cope with the global requirements the institute provides the latest facilities to the students such as MM Class Rooms (Higher Semester), Networking of Class Rooms with electronic database and MM Theaters for conferencing. The building has well equipped laboratories to conduct experimental works. All the lecture halls are well ventilated and to be provided with latest teaching aids like multimedia-overhead projectors along with the white boards.